A statewide nonprofit helps students, parents and coaches navigate the rewarding and risky world of high school sports. 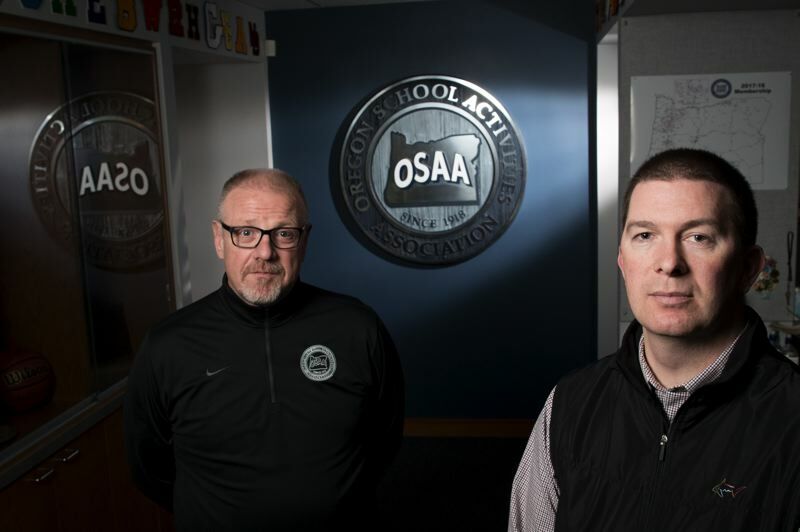 When it comes to keeping high school athletes safe in Oregon, many parents and students may think of the folks on the front line: athletics directors, coaches and trainers. What they may not realize is that behind the scenes a nonprofit group plays a big role. The Oregon School Activities Association has a broad mandate, overseeing everything from the upcoming statewide track meets in Eugene to the state choir championships in Newberg. And, for the past decade, they have been a driving force behind Oregon's efforts to reduce the risk of head injuries among high school athletes. 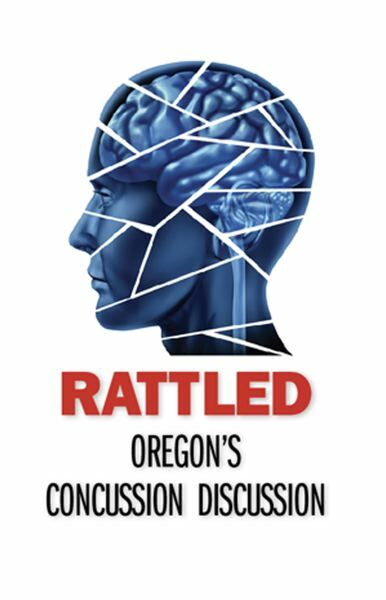 Earlier this year, OSAA Executive Director Peter Weber and Assistant Director Brad Garrett sat down with Lee van der Voo of InvestigateWest and John Schrag of Pamplin Media Group to talk about Rattled, the two news groups' collaborative investigation into Oregon high school concussions. This excerpt has been edited for clarity and brevity. Rattled: Talk a little bit, since you both have a history in high school sports, about at what point head injuries started to rise to the top of concerns. Brad Garrett: I think 2008 was really a watershed moment for a lot of coaches and athletic directors, not only in Oregon but around the country. We started to learn more, specifically about concussions in general. That is when education efforts really started to come to the forefront about recognizing signs, symptoms and behaviors related to a concussed athlete and what are the appropriate steps to take from that point. I know for myself, that's when it really struck me as, 'Hey, this is something that we need to further investigate, know more about and really stay on course with.' Because obviously our first goal in the OSAA office has always been to protect the health and safety of kids. Rattled: What's the simple rule about concussions and participation? Peter Weber: If a student is recognized to have the signs and symptoms of a concussion, they're removed from a contest so they can be evaluated by an appropriate health care professional. If it's determined that they do have a concussion, they don't go back in that day. That's kind of a baseline. Rattled: One of the things that we found is that your organization has created some protocols and some best practices when it comes to preventing, identifying and responding to high school concussions. It seems like in most cases you're encouraging people to adopt them, but you don't really have the hammer to force compliance. Is that correct? Weber: Part of that depends on what the policy is and really what the will of the membership is at that point. And we do have situations where we do have the hammer in some areas and others where I think our attempt has been, as you said, to put best practices out there for schools and communities to be aware of, provide them resources, and work with groups like our sports medicine advisory committee made up of doctors and athletic trainers from around the state. If it comes to the point where we feel like we need to make requirements, we do have requirements in some areas. Rattled: What are examples of requirements? Garrett: Obviously the sport of football gets highlighted in these conversations. It is a contact sport. We know that concussion does occur there. We were the first state in the country to require that every single coach, paid or volunteer football coach, is Heads Up Football-certified. Heads Up certification (Heads Up guidelines for football developed by USA Football) means that you've taken a series of courses, essentially proper tackling, blocking, equipment fitting, heat and hydration, and concussion. You gotta take those five courses. Rattled: Who's responsible for that? Garrett: Every school has to have a player safety coach. That player safety coach is responsible to make sure the Heads Up program is being implemented correctly at all levels of play in a school. Part of the program is to bring parents in. We show them, 'Hey, these are correct techniques that your son or daughter should be using.' So if Johnny gets ejected on Friday night for a helmet-to-helmet contact, the parents now understand why that occurred. Rattled: So you've moved now from "should" to "must." So what is your leverage to say you can't go out and have full-contact football practices five days a week? Garrett: Well, the OSAA has the ability to fine our member schools, levy sanctions and forfeitures. They don't like that, but we will. Rattled: Something that we're noticing in talking to parents and school officials throughout the series is maybe a tipping point, from taking these incidents seriously to having a real fear about participation. Are you seeing that also? Garrett: We are seeing declining participation numbers in some contact sports, for sure. That's not just in Oregon; that's around the country. Parents are taking the notion that their son or daughter could be involved in an incident where they could have a brain injury. As parents, your natural instinct is to say, 'That sounds like something I don't want my kid involved in.' So that's where you, as a parent, have to weigh the benefits versus the risk. Rattled: We know why parents would want to avoid risk for their kids. Tell us what the pros are. What are the benefits of playing sports? Garrett: Pete and I happen to have two sons that are right in the same grade level. My son, Mac, is an 11-year-old and right now Mac is wrestling, and he often comes home at night, and I've told this story that I picked him up from practice the other night and he asked me if it was really worth it. Mac has not won a wrestling match this year, he's 0 and 14. But you know, I'm watching my son not give up. Watching him grow as a person and fight, as Pete said, this adversity. It's really a great time in my life watching my young son understand that life isn't always fair. You're not always going to walk out on the mat and beat the kid that you're going to wrestle. It's a hard lesson. He's questioned it several times, but I'm proud of the fact that he's working through that right now. And as I see that later in his life, that is going to benefit him greatly, and I don't know too many venues where you can get that situation, outside of athletics. Rattled: And, as you've noted, there also are risks. Rattled: What's changed since 2008? Garrett: One of the dynamics that's shifted over the last 10 years is parents who have become a lot more involved in programs. You know, it wasn't, 'Well the coach said this, and we shut the door on the parents.' Parents can educate themselves, they can question, they get, they understand the protocols that should be in place. And that's been a welcomed thing. Parents need to be involved in those programs. Rattled: What's left to do, when it comes to concussions? Garrett: We're not done yet. We have a responsibility to find every way possible to make sure that participation in athletics and activities is as safe as possible for all kids. We will continue to put time, energy and resources into understanding more about it, codifying policy that hopefully will help mediate or reduce it, but again, advocating for kids to participate, because the benefits outweigh the risks for many people. And, at the same time, we understand those parents who may make a different decision and completely respect that. If we can't get the message across in terms of these benefits and how it works, then that's our fault. But we're committed to continuing to learn, continuing to adjust as we move forward. EDITOR'S NOTE: The original version of this story incorrectly attributed development of Heads Up guidelines. OSAA's program was developed by USA Football.